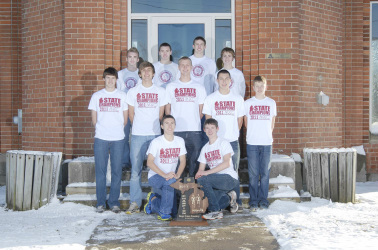 The Huron Valley Educational Foundation is a volunteer driven organization which has been providing support to the students and staff in Huron Valley for the past seventeen years. 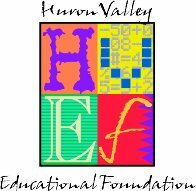 During this time, HVEF has provided grants to support exceptional educational experiences for students. Our mission is to create an impact on education the Huron Valley community by: providing greater opportunities to enhance learning experiences; generating and distributing financial resources to benefit citizens in the Huron Valley community; and collaborating with like-minded organizations. The Foundation's funding is supported solely by charitable, tax deductible contributions. Your donation to HVEF exclusively support grants. Contributions are never used to fund salaries, building expenses or core materials such as text books. Charitable donations are used specifically to finance opportunities in our community, schools and classrooms to enhance the learning experiences for our students. 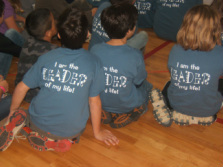 Founded in 1996 by committed parents, community leaders and educators to provide children in the area with greater opportunities to enhance their learning experiences; helping them thrive in an increasingly complex world. Help the HVEF raise money to help students in our community and have some fun at the same time! Click here for information on our Hitting for the Valley Wiffle Ball Tournament Fundraiser. Below is the HVEF's Strategic Plan, detailing our core beliefs and goals for the year.